The Hartman Band's Third Album, Anthropomorphic Thoughts, to be released on CD on May 13, 2003! 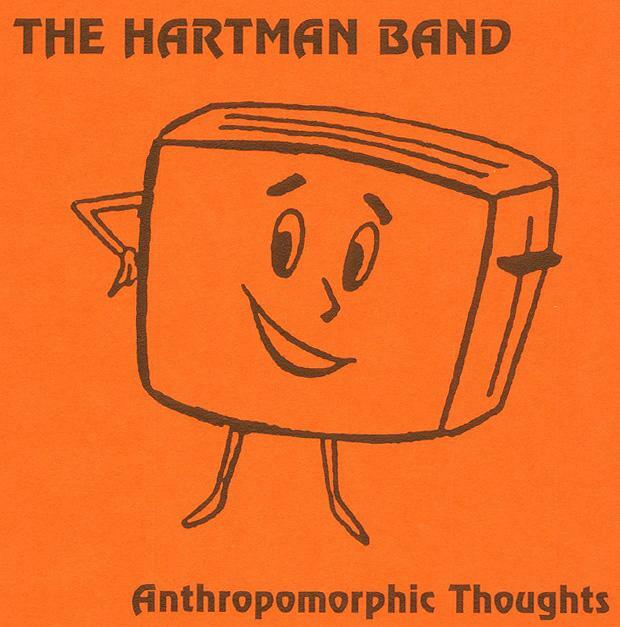 The Hartman Band's third album, Anthropomorphic Thoughts, originally released on cassette in 1997, will be re-released by JLK Records in the compact disc format on Tuesday, May 13, 2003. This is the first Hartman Band album to be released on CD and only the second CD to come from JLK Records. This reissue will feature the entire original album, digitally remastered, as well as additional bonus tracks. The album is drawn entirely from a session that took place in 1995 at Kelly's House in Lexington, KY. The Hartman Band is, as always, SHAY QUILLEN on vocals, guitars, and mandolin; JEFFREY SCOTT HOLLAND on vocals, guitars and keyboards; and JLK on vocals, keyboards and drums. Check back later on this week for details on how to purchase this album!